Crypts of Eternity Issue VI. In-depth interviews with: Lantern, Domains, Poisonous, Evoked Terror, Ancient Crypts, Ascended Dead, Cadaveric Fumes, Compilation of Death zine, Nauseous Surgery, Derketa, Phantasm, Innumerable Forms, Diabolical Messiah, Rotting Flesh, Mortem/Pentacle split intie, Obliteration, Evil Damn/Disinter, Nuclear Abominations zine/label, Eminent Shadow, Deathevokation, Scolex, Unholy Domain Prod. Special reports with: Skelethal, Unholy Lust and Inoculation. 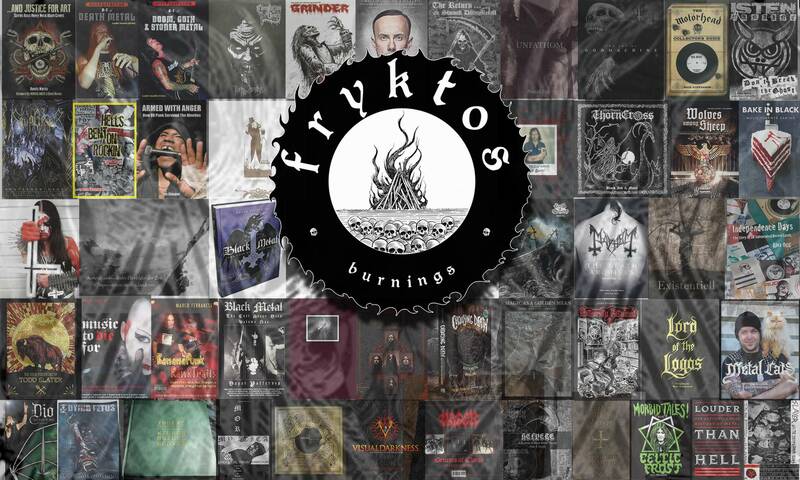 Also included, a Greek Death Metal report written by Isaak Insulter, reviews and more. Vinyl, Cd, demo and zine reviews and more. This edition has ilustrations and exclusive engraved works by Peruvian Luciferian artist Jose Gabriel Alegria Sabogal. 118 pages.